Earrings were worn through perforations in the ear lobe or all around its rim, sometimes six or eight strands on each ear. 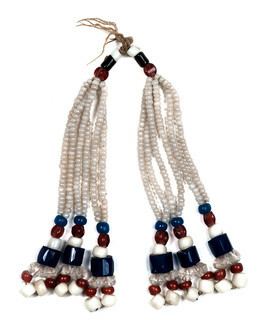 This pair is made of 19th century glass trade beads. Women also adorned themselves with tattoos and face paint.